Las Vegas isn’t the only place you can host an epic bachelor party. Panama has quickly become the go-to destination for bachelor parties due to its world-renowned nightlife scene, amazing pool party locations, and lavish vacation rentals. Adult entertainment is also plentiful, easy to find, and fairly inexpensive. Panama City, the capital of Panama, is just a 30 minute cab ride from the Tocumen International Airport to downtown. Upon your arrival, you’ll be met with a myriad of fun activities to enjoy and places to discover. 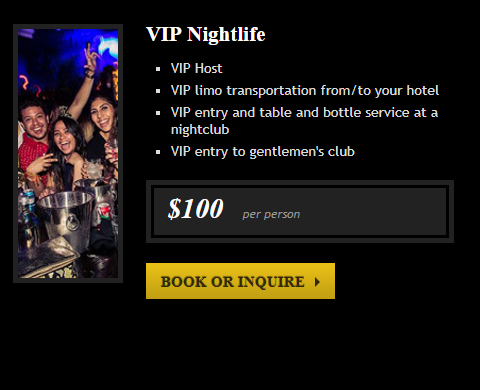 If you are planning to throw your bachelor party in Panama and need help, you can rely on VIPinPanama.com: they provide VIP transportation to yacht parties, nightlife reservations and strip clubs tours, highly recommended. With tropical temperatures year-round, Panama is the perfect spot for pool parties. Whether you choose a hotel pool or a local club, the country is known for hosting some wild parties where beautiful women gather to mingle. While there are numerous locations to choose from, you may want to consider the luxurious Trump Ocean Club. With an infinity pool and obstructed views of the ocean, the popular pool party scene is a great place to host a bachelor party. The pool at the Hard Rock Hotel is also an excellent option. In addition to a massive pool area, you’ll also discover hot tubs and an on-site nightclub, restaurants, and rooftop bar. While staying in Panama for your bachelor party, you may be tempted to stay at a local hotel. While a hotel will do in a pinch, it can make it hard to maintain a party vibe when you and your friends forced to separate into your own rooms. Keep the party going by moving it to a rental home. 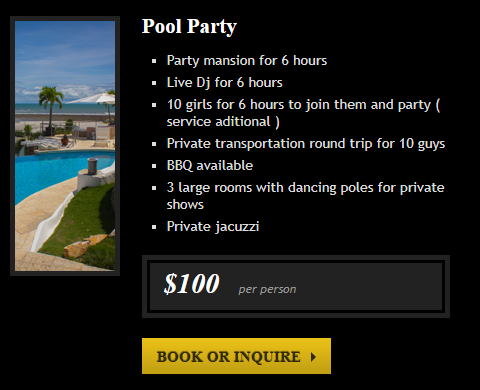 Panama has countless luxury mansions and party houses that are available to rent for occasions such as bachelor parties. These homes are equipped with tons of lavish amenities, such as indoor pools, hot tubs, BBQ stations, hammock swings, and even private chefs. Getting Panama can be a little tricky if you’re not familiar with the area. To make the process stress-free, consider hiring a limo service to drive your group around. With a stretch limo, oversized SUV, or other luxury vehicle, you can transport your group together meaning you won’t have to drive separately. With an experience chauffeur behind the wheel, you also don’t have to worry about drinking and drinking or calling a taxi at the end of the night for everyone in your group. Modern limos are equipped with everything you need for a relaxing evening, such as mini bars, plus leather seating, and state-of-the-art audio and lighting equipment. 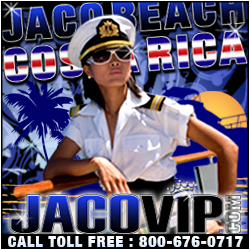 Panama has an active nightlife scene and bachelor parties are a common sight in the local clubs and bars. Like many of the upscale clubs in the States, you’ll want to dress nice to avoid looking like an obvious tourist. There are plenty of options to choose from in terms of clubs. Casa Jaguar is a popular gastropub and an excellent place to begin your evening. You may also choose to pre-game at Chupitos 507 which is essentially a shot bar with more than 70 menu choices. Relic, La Buat, Danilo’s Jazz Club, and Teatro Amador are also suitable options for bachelor parties. If a bachelor party is in your near future, consider making Panama your party destination of choice. There’s really no other country in the world that offers such a wide array of daytime activities, nighttime entertainment, gorgeous women, and VIP services – all for a fair price and within close proximity to the U.S. For an unforgettable bachelor party, there’s no better destination. Start planning your upcoming bachelor party getaway in the beautiful Central American country of Panama.